KerryAnn O'Meara is a Professor of Higher Education and Director of the ADVANCE Program at the University of Maryland. KerryAnn is a national expert on faculty careers, academic reward systems, and change strategies to make both more equitable. As a consultant and scholar-practitioner she works with campuses on equity-minded reform of their promotion and tenure policies, systems of faculty development, and workload distribution. Drawing on insights from behavioral and social science she seeks to “nudge” academic institutions toward better systems to recruit, retain and advance a diverse faculty involved in multiple forms of scholarship. Her research has been widely published, appearing in the Journal of Higher Education, Review of Higher Education, Research in Higher Education Journal, Teachers College Record, Gender and Education, and Handbook for Higher Education Research among other venues. She is President-Elect of the Association for the Study of Higher Education (ASHE), the premier research association for scholars who study higher education. 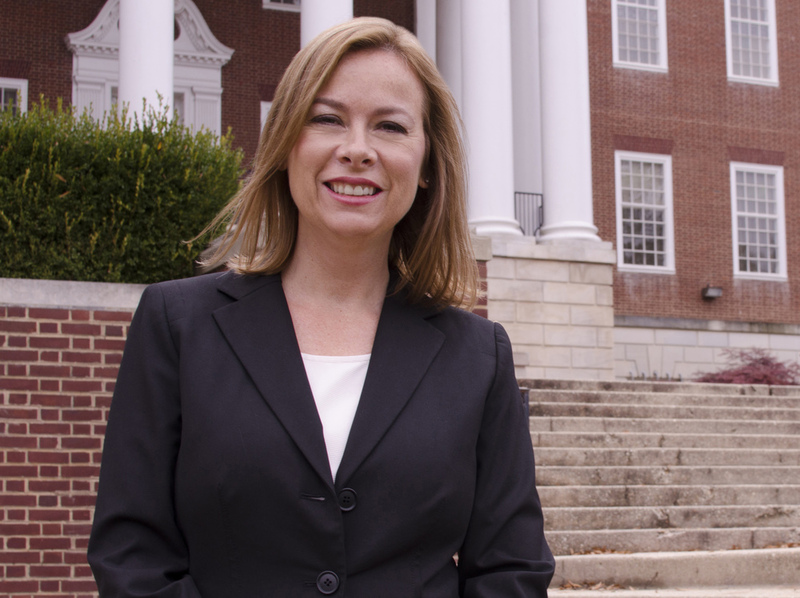 She also serves as Associate Dean for Faculty Affairs and Graduate Studies in the College of Education at the University of Maryland College Park. O’Meara, K. (February 5, 2019). Leading Equity-Minded Reform of Academic Divisions of Labor: What We Can and Should Do Now. Kansas State University. O’Meara, K. (January 15, 2019). Thriving in Early, Mid, and Late Career: A Professional Growth Workshop for Faculty. University of Minnesota. O’Meara, K. (January 8, 2019). Thriving as Scholars: How We can Catalyze Professional Growth and Impact. MGH Institute of Health Professions. O’Meara, K. & Eatman, T. (December 6, 2018). Valuing Community Engaged Faculty Work. University of Richmond. O’Meara, K. (December 7, 2018). Leading Equity-Minded Reform of Academic Workloads. University of Richmond. Templeton, L & O’Meara, K. (November 15, 2018). And Yet She Persisted: How Tenured Women Faculty Navigate Ruling Relations. Association for the Study of Higher Education (ASHE). Tampa, Florida. O’Meara, K. Culpepper, D. Templeton, L. & Anderson, J. Â (November 16, 2018). What’s in a CV? Designing an Instrument and Research Agenda to Mark Cumulative Advantage in Academic Hiring. Association for the Study of Higher Education (ASHE). Tampa, Florida. O’Meara, K. & Jaeger, A. (November 8, 2018). Designing for Equity in Faculty Teaching and Service Workloads: What We Can Do Now . AAC&U Transforming STEM Higher Education Conference, Atlanta, GA.
O'Meara, K. (November 7, 2018). Lehigh’s Summit on Transforming the Culture of Faculty Service and Engagement. O’Meara, K. (September 26, 2018). The Hallway Ask and What it Reveals about How We Work. University of Massachusetts Boston. O’Meara, K. (August 16, 2018). Seminar on Leadership of the Faculty for Academic Leaders. IEM, Harvard University. The Hallway Ask and What it Reveals About How We Work. Minding the Gap: Diagnosing Equity issues in Faculty Divisions of Labor. Leading Equity Minded Reform of Academic Workloads: What We Can Do Now. O'Meara, K. & Curcio, A. (July 19, 2018). Addressing Gender Disparities in Institutional Service Workloads. Women's Leadership in Academia Conference. University of Georgia School of Law. Athens, GA.
O'Meara, K. (May 16, 2018). MD-DC Campus Compact Institute for Incorporating Community Engaged Teaching & Scholarship in Promotion & Tenure, Johns Hopkins University School of Nursing. O’Meara, K.. (March 29, 2018). Process matters: Adding Clarity, Context and Structure to the Evaluation of Community Engaged Scholarship. IUPUI. O’Meara, K. (March 19-20th, 2018). West Virginia University. Faculty Workload Equity by Design. O’Meara, K. (March 15, 2018). Disrupting Ruling Relations: The Role of the PROMISE Program as a Third Space. University of California Berkeley. O’Meara, K. (March 8, 2018). The Hallway “Ask” & What it Reveals About How We Work. Purdue University. O’Meara, K. (November 17, 2017). National Academies (AAAS) Sackler Colloquium. Incentives for Communication of Science. Roundtable Presenter. O’Meara, K. & Eatman, T.) (November 13, 2017). Measures that Matter: Regarding Engaged Scholarship in Promotion and Tenure. UMBC. O’Meara, K. (August 24, 2017). Keynote: By Design. Organizing Careers that Matter & Workshop: Risks Worth Taking: Leading the Inclusive Academic Department. Workshop for Academic Leaders. Rose-Hulman Institute of Technology. O’Meara, K. (February 21, 2017). Reducing Faculty Departure “Fog” and Enhancing Retention. School of Medicine, University of California Los Angeles. O’Meara, K. (January 11, 2017). Rethinking the Zero Sum Game: Organizing for Synergy between Teaching, Research and Community Engagement. Towson University.